Trident Ploughshares has today, 1st October 2015, launched a project to encourage groups around England and Wales to go to their local magistrates court to try and initiate a citizen’s prosecution against the Secretary of State for Defence for conspiring to commit a war crime. If this is done in many places lots of local people will hear the arguments for and against Trident and the legal system will have to deal with the multiple attempts to get the courts to examine the legality of Trident. In the context of the threat of Trident replacement, the growing demand for non-nuclear states across the world for genuine disarmament, and the increased sabre-rattling by the major powers, now is the time to begin a fresh challenge to theUK’s criminal stance. 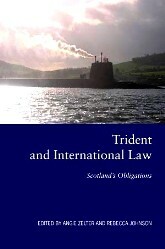 We have tried to make it as easy and cost free as possible by preparing a very simple introduction (view ‘Introduction’ online here) to what we are calling PICAT (Public Interest Cases Against Trident) plus all the supporting documentation. We would like you to find a few people willing to work together and to send a letter to the Secretary of State for Defence asking him to sign a declaration saying he will not use Trident in ways that would contravene international law – the letter has been carefully phrased. work. When we go to the local court some of these people may well be willing to come along to witness the events there. I will be sending our letter to the Secretary of State for Defence today. It will be so good to hear back from you that you will try and get a group together too. All the supporting documents can be found on our website at http://picat.online/campaigning-documents/ & http://picat.online/legal-documents-advice. They are in .pdf for ease of printing and as a word documents so you can personalise the documents for your area and group. Please do let me know if you would like to join the project and involve your local magistrates court? If you would like to chat about the project, ask for more details, clarification or help please do either email me on picat@tridentploughshares.org or ring me on 01547-520929. 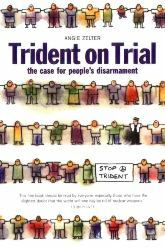 (Founder of Trident Ploughshares and author of ‘Trident on Trial – the case for People’s Disarmament’. PS If you are in Scotland there will soon be an invitation coming from Trident Ploughshares members there to invite you to make use of the first step in the project – the letter asking for the Defence Secretary to give the assurance that Trident will not be used unlawfully. You might also like to act in solidarity by informing your local MSP and MP of this initiative and asking them to raise the issue of the illegality of Trident and to put pressure on the Attorney-General to give permission for the case to go ahead. ← Welcome to the new PICAT website.